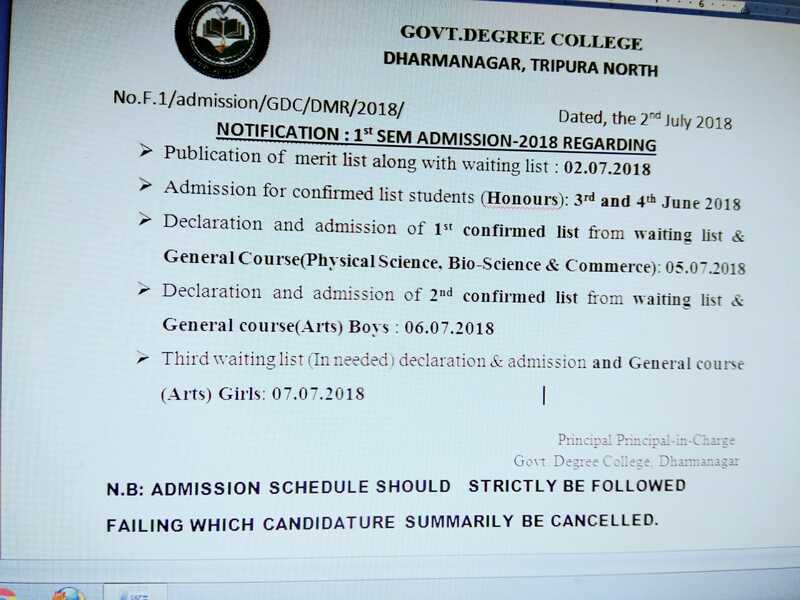 Merit list 2018-2019 is published : Admission schedule should strictly... See more. Merit list 2018-2019 is published : Admission schedule should strictly be followed failing which candidature summarily be canceled. 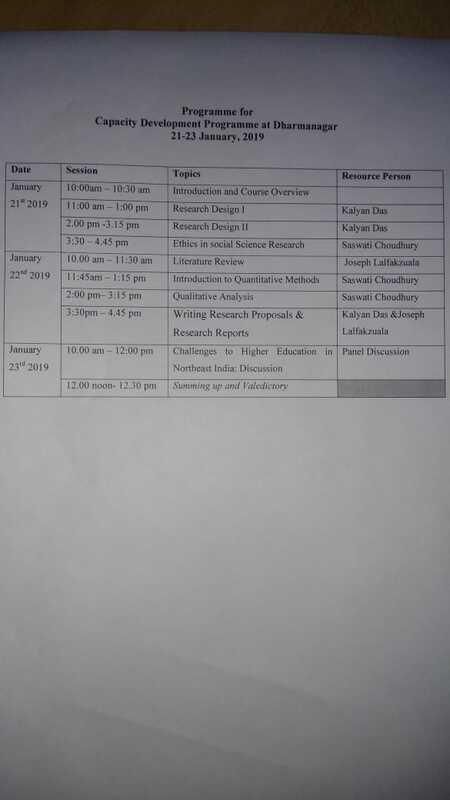 Notification Regarding Science Communicators Meet (ISCA)Notification R... See more. 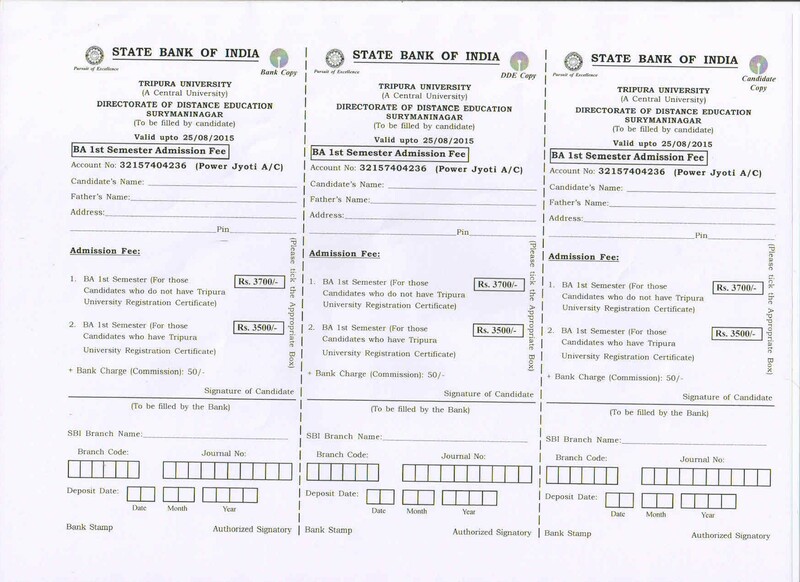 NOTICE for BA PART-II &amp; PART-III (Pre Semester Mode) ADMISSION Under DDE, TU. Research or Review papers are invited for the next volume of our annua... See more. UGC REGULATIONS ON CURBING THE MENACE OF RAGGING IN HIGHER EDUCATIONAL INSTITUTIONS, 2009. ICSSR sponsored National Seminar on "Promotion of Tourism Industry in ... See more. ICSSR sponsored National Seminar on "Promotion of Tourism Industry in North East India with special reference to Tripura" on 25 th July, 2015 organised by Govt. 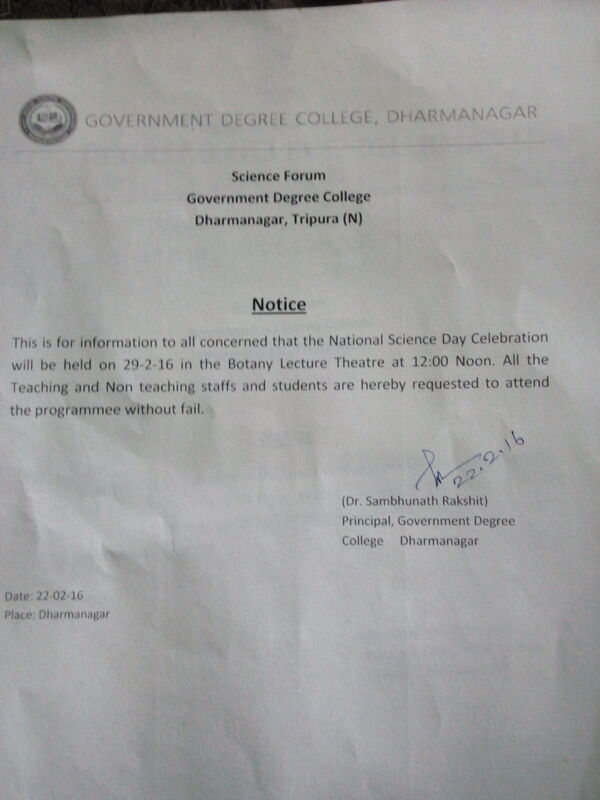 Degree College, Dharmanagar, North Tripura.